Rabbi Yeshayahu Hollander, a member of the Sanhedrin who signed the letter, felt it will serve to be an important bridge to the other nations. “The Jews are commanded to be a nation of priests,” Rabbi Hollander told Breaking Israel News, citing a verse in Exodus. “We are to be of service to the whole world in connecting to Hashem,” Rabbi Hollander continued. “Of course, for us to serve, the other people need to cooperate,” Rabbi Hollander added. 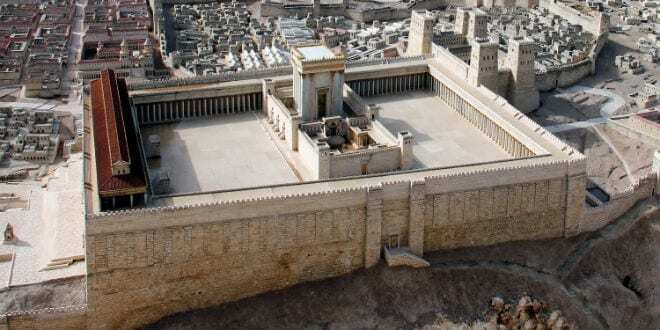 Rabbi Aharon Yitzchak Shtern, a member of the Sanhedrin who is prominent in the Haredi (Ultra-Orthodox) community, believes the time for such a declaration including the Arabs in the Third Temple is at hand. Rabbi Hillel Weiss, spokesman of the Sanhedrin, explained that motives that led to the Sanhedrin writing the letter. Rabbi Weiss noted that the invitation was not a political maneuver or even a religious imperative. Terrorists arrested for throwing firebombs on highway Terrorists threw Molotov Cocktails at Israeli vehicles in Judea. Shin Bet says attacks "serious and life-threatening."